‘Protection of children from harm’ includes preventing the sale and supply of alcohol to children, so this is one of the main security tasks when working in pubs and clubs. Therefore, younger customers must always be challenged for valid ID. 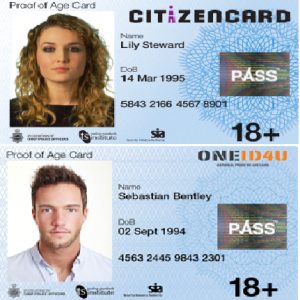 Apart of photo driving licence and passport, an acceptable proof of age is a card issued under the Proof of Age Standards Scheme (PASS) and bearing the PASS hologram. A PASS accredited card can be obtained from a number of the card issuers (CITIZENCARD, ONE-ID4U, VALIDATE UK). All cards that are PASS accredited carry the distinctive PASS logo in a hologram, but every card issuer promoted its own design until last month. From June 2014, a new common 18+ design standard will apply across all proof of age cards bearing the PASS hologram. This will make it much easier for door and bar staff to identify and accept these cards. 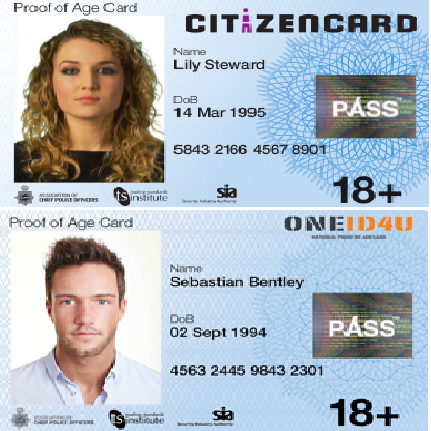 For people between 18-21 years old, carrying a PASS card means they can gain access to the goods and services to which they are legally entitled without being concerned about taking their passport with them on a night out, due to the risk of theft or loss. For businesses, a PASS CARD offers the confidence of knowing that the card is a secure form of identification that can be trusted. It is a criminal offence to manufacture cards that have a mark similar to the PASS one. So far no forged PASS card has been detected. Are security staffs legally obliged to give their SIA number on request? Is ‘laughing gas’ a security concern?